For women that are pregnant, nursing, or trying to conceive, take 1 softgel daily. If taking any medications, consult a healthcare professional before use. Keep out of reach of children. Alive! 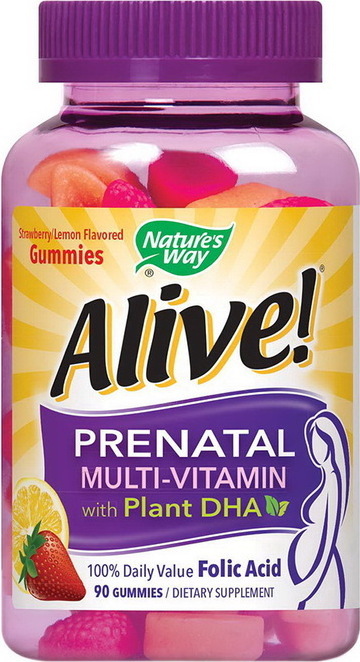 Prenatal is a complete prenatal multi-vitamin that uses plant-source DHA. 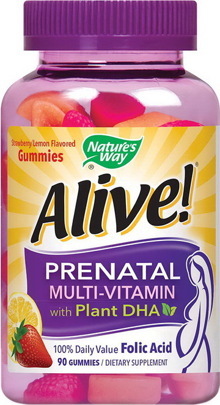 Support your baby's health from the start with our prenatal multi-vitamin. GLUTEN FREE. No sugar, salt, yeast, wheat, soy, synthetic flavors or preservatives.